We have listed all of the All You Can Eat and Buffet Style Restaurants that we have located in Mountain View, California below. Find all you can eat Brazilian rodizio style churrascaria steakhouses, chinese buffet restaurants, all you can eat sushi, all you can eat crabs, and other all you can eat restaurants near Mountain View, California. If you know of any All You Can Eat and Buffet Style Restaurants in Mountain View that we do not have listed or if there is any innacurate listing on this website please contribute by Adding a New Listing Here. 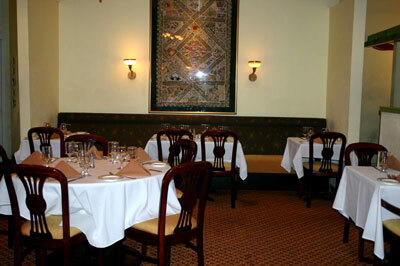 Amber India Restaurant offers Indian Cuisine . They are we are located between Rengstorff and San Antonio Rd in the Olive Tree Shopping Center . Lunch Buffet - $13.95 (Mon-Fri) & $14.95 (Sat-Sun) from 11:30 am - 2:30 pm daily. Please contact this location directly for more information.